Make your next tour an experience to remember. Your audience will hear every word, in crystal clear audio. The TGS-900 is our go-to solution for travel tours, brewery tours, and other leisure market factory tours. If tours are your business, this is the portable tour solution for you. The TGS-900 system offers superior performance both indoors and out. And, with a reach of 600 feet plus, it works well for Segway tours and other wide-ranging, mobile events. Your audience will appreciate the high-quality audio and the ultra-lightweight receivers they wear around their neck. It’s a hand-free way to ensure your guests get the most out of any tour. 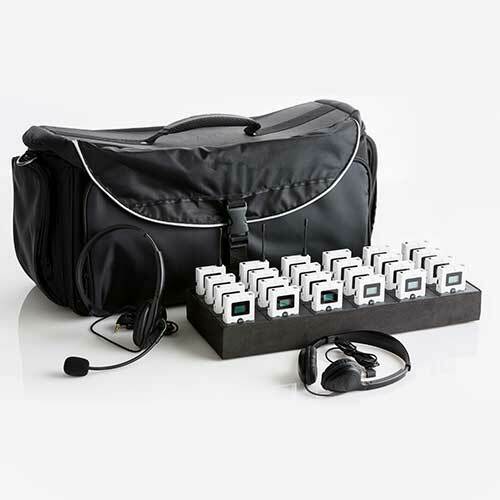 As for your tour guide operators, they’ll like the portable carry kit with fast, drop-in charging. Try before you buy. Ask about our free demo kit. Rental packages also available. 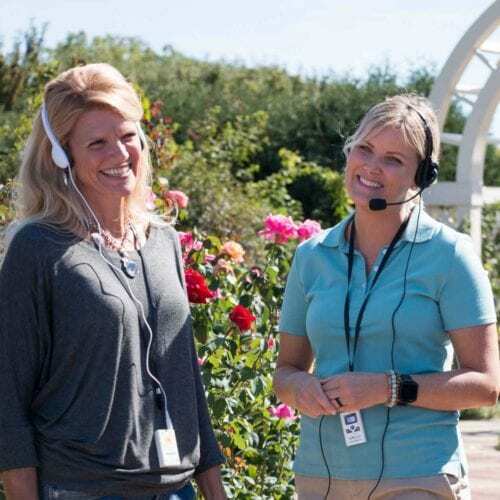 The TGS-900 is ideal for tourism, brewery tours, walking tours, Segway tours, cruise ship tours, historic tours, zoos, museums, or any guided audio tours. It can also be used for language translation and for auditory assistance in houses of worship or performance venues. You distribute new, inexpensive headphones for every user.